Playing to audiences at the country’s best venues every week has sharpened Raymond’s comedy skills to the point where he is flexible enough to perform in front of anyone, whether in a big city theatre or an intimate club room. 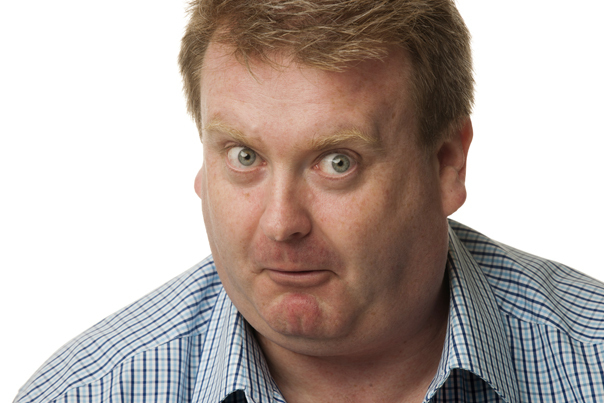 TV and film appearances include Rab C Nesbitt Christmas Special and BBC Scotland Sitcom: ‘Legit’ (2008). Films include Ae Fond Kiss (2004) ‘It’s a Free World’ (2007), both directed by the legendary Ken Loach. 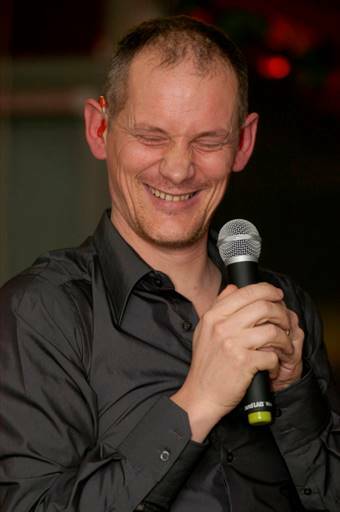 Day describes himself as Britains only deaf comedian, if there are any others he hasn’t heard. Actually there are a couple of others who have started since he wrote that joke, but it’s only a joke after all. For the past eleven years Steve has been performing to huge laughter around the country and abroad, well they tell him the laughter was huge to humour him, he doesn’t know either way. 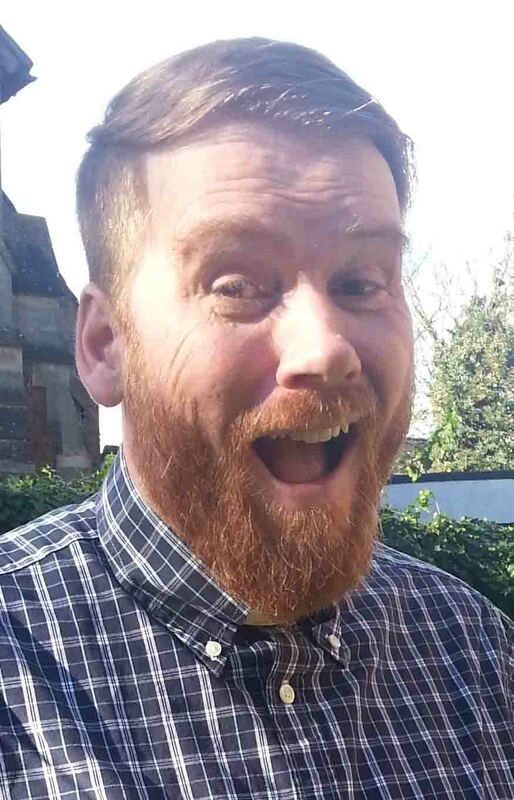 Married with five children, a fact nothing to do with not being able to hear the word ‘No’, Steve has been described as ‘warm and witty’ by the Scotsman and has received many other rave reviews whilst performing shows at the Edinburgh Fringe Festival. Chortle.co.uk gave him five stars in 2007 for Deafy’s Island Discs, a show The Sunday Times called ‘Funny and Moving’. This show toured the UK in 2008, Steve’s third national tour of the uk, and has been performed in several countries in Europe and translated into Italian. No-one knows why. A familiar voice on Radio 4, Steve has appeared many times on You and Yours, was a token man on Woman’s Hour, has appeared in two radio dramas, All Fingers and Thumbs with Bill Nighy, whom he punched dramatically, and Sound Barriers with Patricia Routledge and Caroline Quentin, both of whom he was prevented from punching. A disabled performer, Steve is more concerned with success in the mainstream comedy circuit, but is happy to ‘deaf it up’ as necessary if the money is ok and there are sandwiches. 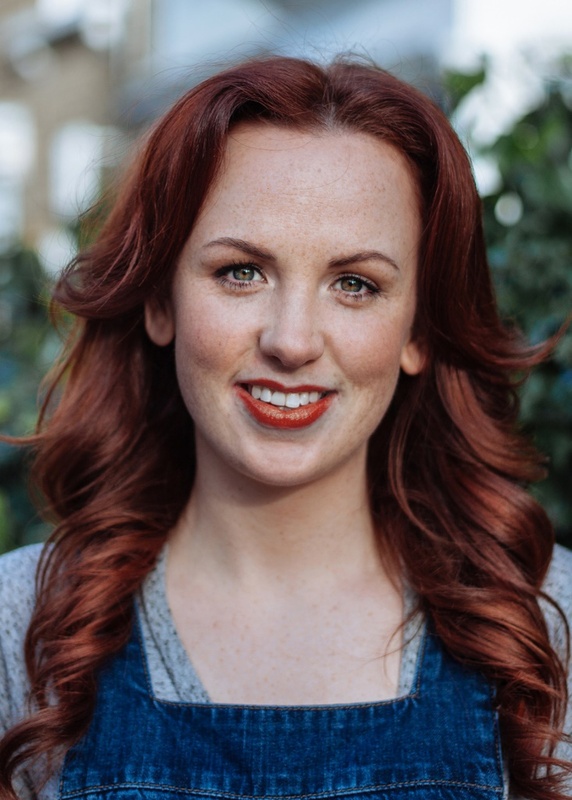 Catherine started performing stand-up in 2015 and since then has enjoyed a rapid rise through the ranks of UK and Irish comedy. In 2016, she was a finalist in both the BBC New Comedy Awards and Funny Women, drawing praise in the final of the former for having “a distinctive voice and a story you’d like to hear” (Chortle) and in the latter for being “pretty much the perfect comedy package” (Beyond The Joke). Also in 2016, she and fellow comic Cally Beaton performed their show Catcall for a full run at the Edinburgh Fringe, enjoying packed houses and a series of stellar reviews across the month. She has gigged for the likes of The Stand, Komedia and Up The Creek.